Tote Natural Printed Diwali Cotton Bag, Size: 14" X 16"
Tote का प्रिंटेड दीवाली कॉटन बैग साइज़: 14 "X 16"
Best Packing option for gifting Diwali gifts this year! Color: Red, White, Yellow, etc. We are among the prominent organization in the industry for providing a wide assortment of Cotton Printed Handbag to our valuable clients. 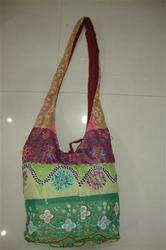 We are manufacturer wholesellers of digital print cotton canvas bags. 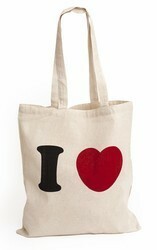 These bags are usually avaialable in pre printed assorted designs. Feel free to send us your requirement to get best price quotes. Bag Size In Inches - Full Height: 34", Bag Height: 13.5", Length: 13", Width: 8", Strap Length: 37.5", Strap Width: 3"
Leveraging the skills of our qualified team of professionals, we are instrumental in offering a wide range of Printed Cotton Bag.